If you’ve never been to Gloucester Massachusetts, you’re missing out on one of the most quintessential, old-school fishing towns in New England. 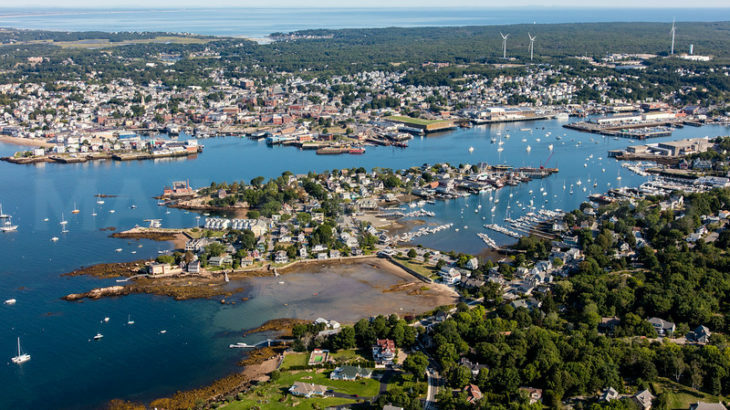 Between the bustling downtown known for excellent seafood and craft beer, the beautiful beaches with almost pure white sand, and the many marinas showcasing authentic lobster, fishing, and sail boats, Gloucester can’t be missed. Cape Ann’s Marina Resort is considered one of the best spots to stay overnight in Gloucester. It’s located right on a marina with amazing water and sunrise views. There’s a bar and restaurant downstairs with multiple outdoor sections and a heated indoor pool that kids will enjoy. In addition, the Marina Resort is located within half a mile of almost any attraction you’ll be interested in checking out. The Cape Ann Marina is located a few hundred feet off the hotel and offers fishing charters and whale watching excursions. For those of you who are into finer dining and sushi, Latitude 43 is a great spot to try. The decor is very modern (but still New England based), with comfy couch options for indoor seating. There’s also an outdoor deck with a great view. The food is always incredibly fresh – I recommend trying the raw bar if you’re feeling adventurous. For more of a casual, traditional New England meal, the Seaport Grille is a great stop. There’s all sorts of fried fish, lobster meals (the lobster rolls are repeatedly awesome), local beers, and fun summer drinks for the ladies. The service is always great and the place has a really homey, friendly vibe. Gloucester is a huge fishing town! Even if you’ve never fished before, you can’t come here without experiencing a charter. If you’re really not into the thought of fish, I still recommend trying a half-day whale watch (they almost always see whales) or a sunset cruise. For those who are more beach people, Good Harbor beach is one of the most beautiful the area has to offer. It’s enormous, with views of impressive cliffs and stately homes surrounding it. At low tide, there’s a bridge that kids love to jump off. Although it can be a bit pricey to park here during certain times of year, it’s worth it at least once. Gloucester also has a big local art scene. Lexicon Gallery and Local Colors are two unique art galleries to check out downtown. The Cape Ann Museum has a full section on Gloucester’s art and history that’s actually pretty neat, especially on bad weather days. The best time to see Gloucester is definitely in the summer. The food is fresher (most of its purchased from boats in-town), the shops are open longer, more activities are offered, and the population increases exponentially. Gloucester is an amazing coastal spot that deserves a stop while touring New England!